Fifty years on from Israel’s capture of East Jerusalem and the West Bank talk of a peace-settlement in the middle-east seems as remote as ever. 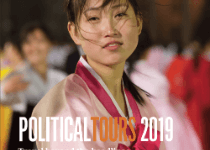 This exceptional and far-reaching tour looks at views from both sides: from right wing settlers to Palestinian militant groups and mainstream political parties. We ask if there is any hope left of a peace deal or whether the two state solution is dead. The tour is led by Gershon Baskin, one of Israel’s best known commentators on the peace-process with contributions from leading thinkers and analysts. 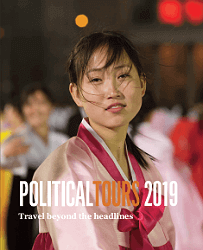 This is possibly Political Tours’ most popular tour to date. We examine the remaining obstacles to a two-state solution including Israeli settlements in the West Bank, the status of Jerusalem, Israeli concerns over security and the right of Palestinian refugees to return. With little progress in decades groups on both sides now advocate a one-state solution for both nations, but just where would that lead? We meet with leading political figures and analysts as well as ordinary people as we explore one of the most complex issues in the world. As with all of our expert-led tours, we ensure that our groups remain small and intimate, and will not exceed 14 people. Flights aren’t included in the tour price and should be arranged by customers themselves or with an agent. Welcome dinner and an overview of where Israel and Palestine stand. The main issues, the main players, and the possibility of future negotiations. Overnight Jerusalem. We visit the Old City, visiting all three major holy sites: the Church of the Holy Sepulchre, the Haram al-Sharif and the Western Wall. The Temple Mount, Dome of the Rock and Al-Aqsa Mosque have become the focal point of political tensions. We meet a Palestinian NGO and an Israeli foundation that give competing views for the future of Jerusalem. Overnight Jerusalem. We head into the West Bank for an introduction to Palestine and Palestinian politics. Crossing the Israeli-controlled checkpoint at Qalandiya, we enter Ramallah the centre of Palestinian governmental administration. We look at the structure of the Palestinian Authority since the Oslo Accords. After lunch, a local guide takes us on a tour of the wall and explains its impact on Ramallah. Overnight Ramallah. We drive north to Nablus. Visit to Balata where we discuss issues of internal displacement and the role of the UN. The right of return is one of the major stumbling blocks in the peace process. Home-cooked lunch in the Old City with an inspirational women’s group who are using local food and age old recipes to bring people together and uplift the community. Overnight Ramallah. From Ramallah to Bethlehem is around 20km as the crow flies. But Jerusalem, and multiple Israeli checkpoints stand in the way. Brief visit of Church of the Nativity in Bethlehem. The afternoon is devoted to first-hand exploration of Hebron, a city holy to Judaism and Islam that was divided by the Oslo Accords. We speak to inhabitants on both sides of the divide. Overnight Bethlehem. The desert mountain of Masada is a focus for Zionist identity, where the story of Jewish courage and resistance to Roman rule is told to each generation. Israel’s settlements in the West Bank will be key to any final resolution of conflict: we visit the Gush Etzion, a cluster of settlements south of Jerusalem. Overnight Bethlehem. This morning we drive north to the largest Arab city inside Israel, Nazareth has both a long history and a densely complex modern existence, shared between Muslim and Christian Palestinians within the city centre and Jewish Israelis in the separate town of Upper Nazareth nearby. Tensions between the two communities have surfaced amid competing needs. After Nazareth we head to Zirchron Yaakov, one of the earliest 20th century Jewish settlements in Palestine. Here we will be hosted in people’s homes, an opportunity to see how mainstream Israeli’s view the current state of politics and the peace-process. After tea we proceed down the Mediterranean coast to Israel’s bustling commercial capital Tel Aviv. Overnight Tel Aviv. Tel Aviv is home to some of Israel’s most important political think tanks, academics and human rights groups. We use this final day to both review the tour and examine the range of political forces within Israel. Is there any hope of renewed commitment to the peace-process? Farewell dinner and overnight Tel Aviv. At dinner we begin to review the weeks events. Overnight Tel Aviv. Overview of the tour at breakfast; departure for airports. This tour starts in Jerusalem and ends in Tel Aviv. As on all our expert-led tours the groups are deliberately small and will not exceed 14 people. Limited spaces are available. 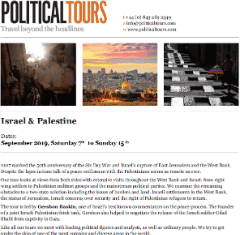 Most travellers to Israel with Political Tours do not require a visa (e.g. EU, US, UK, Canada, New Zealand and Australia). UK, EU, USA, Australian and New Zealand passport holders don’t need a visa to enter Israel as a tourist. On entry, visitors are granted leave to enter for a period of up to 3 months. Visitors entering via Ben Gurion airport are given an entry card instead of an entry stamp in their passport. You should keep your entry card with your passport until you leave. This is evidence of your legal entry into Israel and may be required, particularly at any crossing points into the Occupied Palestinian Territories. Your passport should be valid for a minimum period of 6 months from the date of entry into Israel and the Occupied Palestinian Territories. Evidence of a previous visit to another country in the region like an entry/exit stamp in your passport does not normally prevent entry into Israel, although it may lead to additional questioning at the border. It is for the Israeli authorities to determine the right of entry into Israel. Does Israel stamp my passport? Israel no longer stamps travellers passports. You will be given an entry ticket at immigration which you need to keep with your passport until you leave the country. The Foreign and Commonwealth Office publishes regularly updated travel information on its website www.fco.gov.uk/knowbeforeyougo which you are recommended to consult before booking and in good time before departure. Where it considers it appropriate to do so, the FCO may advise against all travel or all but essential travel to particular countries or parts of particular countries. Similarly, the FCO may withdraw any such previously given advice. Where the FCO issues such advice, we may as a result cancel your tour or make changes so as to avoid the area concerned (see clause 10 or our conditions). Alternatively, we may ask you to sign a form confirming you wish to proceed with the tour notwithstanding the FCO advice. It is in the nature of the itineraries we offer that the FCO may have issued such advice in relation to the country or parts of the country we are intending to visit prior to confirmation of your booking. In this case, you will be asked to sign the above form before we confirm your booking. The Israeli shekel is used in both Israel and throughout the West Bank. ATM’s are readily accessible, and cards can be used for payments in a wide variety of places. The weather is mild, with a Mediterranean climate. The rainy season is between November and April and winters can be cold and wet. Southern Areas may become very hot during summer months. Generally dress requirements in Israel and Palestine are quite relaxed. However during our tour we visit places where groups may be more religious or conservative, so we recommend you have clothing that covers your arms and legs. T shirts and shorts should be avoided on these days. Women will also need to cover their heads to enter mosques or synagogues. Secondly we also have a range of meeting with politicians or senior officials where we are expected to be more formally dressed. We will advise you on a day-by-day basis on which meetings are coming up. Electricity works through a European 2 round pin plug socket and is a standard 230v. Dr. Dahlia Scheindlin is a public opinion expert and an international political and strategic consultant; she is also an academic and a writer. Her doctoral research examined unrecognized states, which emerged from ethno-nationalist conflicts and declared independence unilaterally. In the past, she has worked as a Senior Analyst for the Washington-based global firm Greenberg Quinlan Rosner Research; the director of international campaigns at GCS Issue Management, and a researcher at the Israel Democracy Institute. She has advised and conducted research on five national campaigns in Israel. While the territory belonged to the Ottoman Empire until its defeat by the British in the First World War, Zionist movements had been long gaining momentum due to the region’s immense religious significance to the global Jewish diaspora. In 1882, a wave of 35,000 Jews immigrated to what is today Israel, though they failed to fully assimilate or be accepted by Arab Muslims already living there, as well as some Christians and Druze. During the First World War, in what is known as the Balfour Declaration, the British Government announced support for the creation of a “national home for the Jewish people” in Palestine, which at the time was part of the Ottoman Empire and home to a minority population of Jews. The declaration galvanised Zionism and support for the creation of a Jewish state and led to the establishment of Mandatory Palestine in 1920, a geopolitical region under British administration, after the fall of the Ottoman Empire. Britain’s influence in the region was shored up by the Sykes-Picot Agreement, a secret agreement made during the First World War, between France, Britain, and Russia, allocating regions in the Middle East to each of the respective world powers. That agreement was particularly divisive, as it saw Britain renege on its promise to establish a national Arab homeland. With civil war ravaging Russia, and the dissolution of its empire, in the 1920s, many Jews fled persecution to Western Europe and the United States, expanding the Zionist movement worldwide. However, in Mandatory Palestine tensions were brewing. Jewish immigrants that arrived en masse in 1882 continued to expand their settlements, resulting in civil, political and armed struggle against Palestinians. Riots broke out in 1921, starting in Jaffa (today a suburb of Tel Aviv) before spreading across the country. Thousands of Jewish residents moved to Tel Aviv. The British attempted to quell Arab discontent by offering representation in an official council. The Arabs refused, believing it would damage their chances of self-determination by accepting parts of the Balfour Declaration. Rioting again broke out in 1929, precipitated by a dispute over the Western Wall, one of the holiest sites in Judaism. The violence was widespread and marked by attacks carried out against Jew by Arabs. In 1936, a nationwide Arab revolt broke out lasting three years and further damaging relations between Arabs and Jews, and their British administrators. Initially led by urban elites, the uprising spread among rural peasants and became violent and was met with brutal suppression by British forces. By the end of the revolt in 1939, over 5000 Arabs and 300 Jews were killed. When 6 million Jews were systematically murdered by Nazi Germany in the Holocaust, the fight for a nation state of Israel gained further international traction. At the end of the Second World War, with Nazi Germany defeated but religious violence in Palestine spiralling, Britain withdrew its mandate. In 1947, the newly formed United Nations proposed dividing the region into Arab and Jewish states, which was rejected by the Arabs. Despite the misgivings, the resolution passed and in 1948, the State of Israel declared independence. The final Declaration of Independence made no reference to borders, though politicians at the time indicated they would honour the borders as laid out in the UN partition plan. The move outraged Arabs in Palestine and the wider region, and led to the First Arab-Israeli War, a continuation of a civil war that broke out following the UN’s resolution one year prior. Israel fought against a coalition of Arab states, ultimately retaining all of its land provisioned in the partition plan as well as gaining 60% of the territory allocated for Palestinian Arabs. Egypt took control of the Gaza Strip and Jordan the West Bank. Following the war, the Jewish population of Israel doubled, with 688,000 immigrants arriving between 1948 and 1951. Around 700,000 Palestinians were expelled or fled their homes in the newly formed nation, becoming refugees. A special UN agency for refugees was created to assist with the crisis caused by the war, differing from the much broader UNHCR (United Nations High Commissioner for Refugees). Israel’s official borders remained the same as those in the UN partition plan, though in reality they kept changing, with Jordan annexing the West Bank in 1950, having previously captured it in the Arab-Israeli War. Israel took the West Bank in 1967, as part of the Six-Day War, which broke out after Israel invaded the Sinai Peninsula in Egypt, looking to lift the blockade on shipping routes. Jordan, Iraq and Syria rallied behind Egypt, though were decisively beaten by Israeli forces. Israel gained the Sinai Peninsula from Egypt, alongside East Jerusalem and the West Bank from Jordan and Goram Heights from Syria. A ceasefire was quickly signed, ending six days of brutal fighting that left 20,000 Arabs and around 1,000 Israelis dead. The war, while celebrated in Israel, was widely decried in the Arab world and galvanised support for the fledgling Palestinian Liberation Organization (PLO), an armed organisation fighting for Palestinian statehood. A number of similar leftist movements grew in the wake of the war, regularly carrying out terrorist attacks. In 1973, an Arab coalition led by Egypt and Syria launched a surprise attack on territories that had been occupied by Israel since the Six-Day War, opening the Yom Kippur War. Israel’s dominance was less assured than in previous conflicts, with Arab states forcing Israel out of its occupied territories. The war lasted several weeks. In 1979, a peace deal was signed between Israel and Egypt and Jordan, with Sinai officially handed back to Egypt. In 1987, a Palestinian uprising – known as the First Intifada – broke out against the Israeli occupation of the West Bank and Gaza, lasting four years until the Madrid Conference in 1991, a summit between Israeli and Palestinian leaders, brokered by Spain, the US, and the Soviet Union. The conference paved the way for the Oslo Accords, signed between 1993 and 1999, a set of agreements that mandated the creation of a Palestinian Authority (PA) to govern parts of the West Bank and the Gaza Strip. Israel was to withdraw from these territories. Talks to determine the permanent status of the regions broke down following another uprising in 2000. That uprising – the Second Intifada – broke out when Ariel Sharon, a prominent Israeli politician and later Prime Minister, visited the Temple Mount, a site of holy significance for Muslims, Christians, and Jews. The visit was seen was incendiary, and sparked another uprising – the Second Intifada – that escalated over four years. The violence was marked by suicide attacks carried out by Hamas, a fundamentalist Islamic Palestinian political party with a militant aspect. The PLO, led by Yasser Arafat, was also implicated in the violence. The Second Intifada was ultimately crushed by the Israelis, leaving any chance of peace remote though Israel did fulfill its pledge to withdraw from Gaza. Gaza then fell into civil war in 2006, a conflict that is ongoing today, when the two main political parties, Fatah and Hamas, fought over which parts of Gaza they would administer. Volleys of rockets were launched at Israel, signalling that peace could not be made with Palestine. Meanwhile, in Israel, the hard right grew under the leadership of current Prime Minister Benjamin Netanyahu, a charismatic populist-nationalist. An influx of ex-communists boosted the right wing vote, alongside a growing demographic of ultra-orthodox Judaism. Today, among growing calls for the annexation of the West Bank, the possibility of peace looks remote in the near future, with Israel exacerbating tensions by continuing to aggressively build settlements in the West Bank and East Jerusalem, numbering up to 600,000. Another spanner was thrown into the works late in 2017 when US President Donald Trump announced that the US would recognise Jerusalem as Israel’s capital, bucking 70 years of international policy. Tel Aviv was always regarded as the capital – despite Jerusalem holding the seat of government – in order to avoid inflaming tensions with Palestine who also claim Jerusalem as capital. With peace looking as far away as ever, and with hardline voices on either end of the spectrum drowning out centrists, can Israel and Palestine ever emerge from each other’s shadows? David Ben-Gurion: The primary national founder of Israel in 1948, who served as its first Prime Minister. He was previously leader of the World Zionist Organization. Benjamin Netanyahu: The current Prime Minister of Israel. He is a charismatic hardliner, behind a recent push to expand settlements in the West Bank and to assert Israel’s clout internationally. Yasser Arafat: The leader of the PLO and Fatah political organization from 1969 until his death in 2004. He was a co-recipient of the 1994 Nobel Peace Prize for his role in the Oslo accords. Though a hero to Palestinians, he is considered a terrorist in Israel. Parliamentary democracy, with three independent branches of government. Executive power belongs to the government, legislative power to the Knesset, and judicial power to the Supreme Court. Israel does not have a written constitution. Israel has mandatory military service for men and women, with three million people available for active service in 2016. The Israeli Defence Force, as the military is known, is a major component of Israeli society, with almost all top Israeli politicians in the past 40 years having a military background. Highly developed and technological, leading exports include pharmaceuticals, cut diamonds, and high-tech equipment. The Palestinian Authority (PA) is the government body founded following following the Oslo Accords, in specific regions of Palestine. In theory the PA only represents these areas, though the Israeli government has taken to talking to the PA directly about wider matters. The PLO historically represents Palestinian interests. The Palestinian government is divided into two separate administrations. The first being the Fatah-dominated PA government which rules the West Bank areas A and B. The other is the Hamas government which controls the Gaza Strip. In 2014, Hamas allowed the PA take control over Gaza. Key industries including cement, textiles and soap. GDP per capita: Gaza – $867. West Bank – $1924. The author offers a strategy proposal for resolving the Arab-Israeli conflict in the Middle East, arguing that the existance of a Palestinian state would guarantee a humane and safe Israel. for any serious assessment of the Palestinian Israeli conflict.Publishers Weekly (starred review)/One must understand Hamas in order to understand the current state of the Israeli Palestinian conflict. Hamas: A History from Within provides an unrivaled account of Hamass history, structure, and objectives, largely in its own words. A grassroots organization that commands wide respect among Palestinians for its incorruptibility, Hamas is divided into two main sections: one is responsible for establishing schools, hospitals, and religious institutions; the other for military action and terror attacks carried out by its armed underground wing the Izzedine al-Qassam Brigades. Tamimis longtime relationships and extensive interviews with Hamass leading members allow him to create a more intimate portrait of Hamas, in its own words and from its own members, than has yet been available in English. “An exciting and wide-ranging exploration of the myths and narratives that lie behind the unresolved Arab-Israeli and Israeli-Palestinian conflicts. . . . Anyone dedicated to the fullest possible understanding of the Israeli-Palestinian conflict will want to read this volume cover to cover.” -Neil Caplan, Vanier College, Montreal Why does Hamas refuse to recognize the legitimacy of the state of Israel? Why do Israeli settlers in the West Bank insist that Israel has a legitimate right to that territory? What makes the Israeli-Palestinian conflict so intractable? Reflecting both Israeli and Palestinian points of view, this provocative volume addresses the two powerful, bitterly contested, competing historical narratives that underpin the Israeli-Palestinian conflict. Compelling contributions by Israeli and Palestinian authors show how the intertwined reckonings of the historical past-history’s double helix-provide powerful ammunition for current battles. Just when a resolution of the conflict might seem to be on the horizon, the gulf of history resurges to separate the contenders. Palestinians and Israelis remain locked in struggle, tightly entangled and enveloped by a historical cocoon of growing complexity, fundamental disagreement, and overriding miscalculation. This book creates a dialogue among Palestinian and Israeli authors, who examine opposing versions of the historical narratives in the context of contemporary Israeli-Palestinian relations. In hard-hitting essays the contributors debate the two justifying and rationalizing constructions, laying bare the conflict’s roots and the distorted prisms that fuel it. Israeli and Palestinian Narratives of Conflict is an invaluable resource for anyone seeking to make sense of today’s headlines. Contributors are Sami Adwan, Dan Bar-On, Mordechai Bar-On, Daniel Bar-Tal, Nathan J. Brown, Saleh Abdel Jawad, Eyal Naveh, Ilan Pappe, Dina Porat, Robert I. Rotberg, Nadim N. Rouhana, Gavriel Salomon, and Mark Tessler. These extraordinary memoirs give us a rare view into what the Arab-Israeli conflict has meant for one Palestinian family over the generations. Nusseibeh also interweaves his own story with that of the Palestinians as a people, always speaking his mind, and apportioning blame where he feels it due. Hated by extremists on both sides, his is a rare voice. President Carter, who was able to negotiate peace between Israel and Egypt, has remained deeply involved in Middle East affairs since leaving the White House. He has stayed in touch with the major players from all sides in the conflict and has made numerous trips to the Holy Land, most recently as an observer in the Palestinian elections of 2006. In this book President Carter shares his intimate knowledge of the history of the Middle East and his personal experiences of the principal actors, and he addresses sensitive political issues many British and American officials shy from. Palestine is a challenging and provocative book. Pulling no punches, Carter prescribes steps that must be taken for the two states to share the Holy Land without a system of apartheid or the constant fear of terrorism. This book is about the pendulous movement of Arabs and Israelis between war and peace, in one of the most protracted conflicts of modern times. It is written from the perspective of a professional historian who was also a major participant at key junctures of the peace process. The narrative and analysis begins with the War of Independence and the creation of the state of Israel; the Sinai campaign of 1956, and the relative calm that followed; the Six Day War of 1967, where the Arabs were defeated but the Israelis were also defeated by the euphoria and complacency produced by their overwhelming victory; the Yom Kippur War and the recovery of Arab pride; the ascendancy of America 1973-77; Camp David; the first Intifada, the Gulf War and the Madrid peace conference; Rabin and Oslo; the Netanyahu impasse; the Al-Aqsa Intifada. The final chapters deals with the crisis of 9/11, the Iraq War, and the reactivation of the peace process. In 1967 the future of the state of Israel was far from certain. But with its swift and stunning military victory against an Arab coalition led by Egypt in the Six Day War, Israel not only preserved its existence but redrew the map of the region, with fateful consequences. The Camp David Accords, the assassinations of Anwar Sadat and Yitzhak Rabin, the intifada, and the current troubled peace negotiations―all of these trace their origins to the Six Day War. Michael Oren’s Six Days of War is a gripping account of one of the most dramatic and important episodes in the history of the Middle East. With exhaustive research in primary sources―including Soviet, Jordanian, and Syrian files not previously available―he has reconstructed the tension-filled background and the dramatic military events of the conflict, drawing the threads together in a riveting narrative, enlivened by crisp characters sketches of major characters (many of whom, from Ariel Sharon to Yasser Arafat, are still leading figures today). Most important, Oren has unearthed some dramatic new findings. He has discovered that a top-secret Egyptian plan to invade Israel and wipe out its army and nuclear reactor came within hours of implementation. He also reveals how the superpowers narrowly avoided a nuclear showdown over the Eastern Mediterranean and how a military coup in Israel almost occurred on the eve of the war. Rashid Khalidi brings perspective to Palestinian attempts to achieve independence and statehood. Bringing together the latest scholarship, he concentrates on the period of the British Mandate (1920-1948), describing the process by which a European Jewish minority overcame the claims and rights of the native Arab majority. “The Missing Peace”, published to great acclaim last year, is the most candid inside account of the Middle East peace process ever written. Dennis Ross, the chief Middle East peace negotiator in the presidential administrations of George H. W. Bush and Bill Clinton, is that rare figure who is respected by all parties: Democrats and Republicans, Palestinians and Israelis, presidents and people on the street in Jerusalem, Ramallah, and Washington, D.C. Ross recounts the peace process in detail from 1988 to the breakdown of talks in early 2001 that prompted the so-called second Intifada – and takes account of recent developments in a new after word written for this edition. It’s all here: Camp David, Oslo, Geneva, Egypt, and other summits; the assassination of Yitzak Rabin; the rise and fall of Benjamin Netanyahu; the very different characters and strategies of Rabin, Yasir Arafat, and Bill Clinton; and the first steps of the Palestinian Authority. For the first time, the backroom negotiations, the dramatic and often secretive nature of the process, and the reasons for its faltering are on display for all to see. “The Missing Peace” explains, as no other book has, why Middle East peace remains so elusive. For nearly twenty years, Aaron David Miller has played a central role in U.S. efforts to broker Arab-Israeli peace as an advisor to presidents, secretaries of state, and national security advisors. Without partisanship or finger-pointing, Miller records what went right, what went wrong, and how we got where we are today. Here is a look at the peace process from a place at the negotiation table, filled with behind-the-scenes strategy, colorful anecdotes and equally colorful characters, and new interviews with presidents, secretaries of state, and key Arab and Israeli leaders. Honest, critical, and often controversial, Miller’s insider’s account offers a brilliant new analysis of the problem of Arab-Israeli peace and how it still might be solved. From the early days of the secret Oslo talks through the recent crises and new developments in Israel and Palestine, Yossi Beilin has been at the center of it all. This book highlights his intensive and historic meetings with President Clinton, Ehud Barak, Shimon Peres, Hosni Mubarek, King Hussein of Jordan and Madeleine Albright, as well as Beilin’s crucial connections with such seminal Arab leaders as Yassir Arafat, Saeb Erikot, Faisal Husseini and the first prime minister of “Palestine,” Abu Mazen. The Beilin-Mazen agreements are the basis of the current “road map” to Middle East peace. Israel was founded in 1948, but there was settlement there prior to its establishment. All That Remains catalogues the places that Palestinians called home before Israel’s 1948 borders were drawn. Shavit is a left-leaning Israeli newspaper columnist who doesn’t shy away from criticism of his nation and its policies. This is a deeply personal look at Israel’s history that reflects the evolution of the author’s politics over time. Sieff is a right-leaning correspondent who’s covered the Middle East extensively. The title is a good indicator of his book’s tone. Sieff has few kind words for the Arab world, or the G.W. Bush administration’s policy in the Middle East — he has few kind words for anyone, really. The book is a deep dive into the Western conservative narrative of the region. It’s no surprise that Christians flock here to visit the holy sites. Bissell joins a tour group of Zionist Christians (it’s a thing) and — well, it’s complicated. On Harper’s Magazine. Many Jewish youth take a trip to Israel with the organization Birthright, which offers an opportunity to see what’s been given to them in the Torah. Sometimes they stay. Often, like in Glidden’s graphic novel, their biases colour their experience and they come away with more questions than answers. This is a good starting point for those trying to understand the conflict in the Middle East. The idea that food will bring us together is the premise for this book. If only it were so simple. Rosner’s 2012 release is good read nonetheless, and it includes stories about the Druze, a minority population who live primarily in Northern Israel.